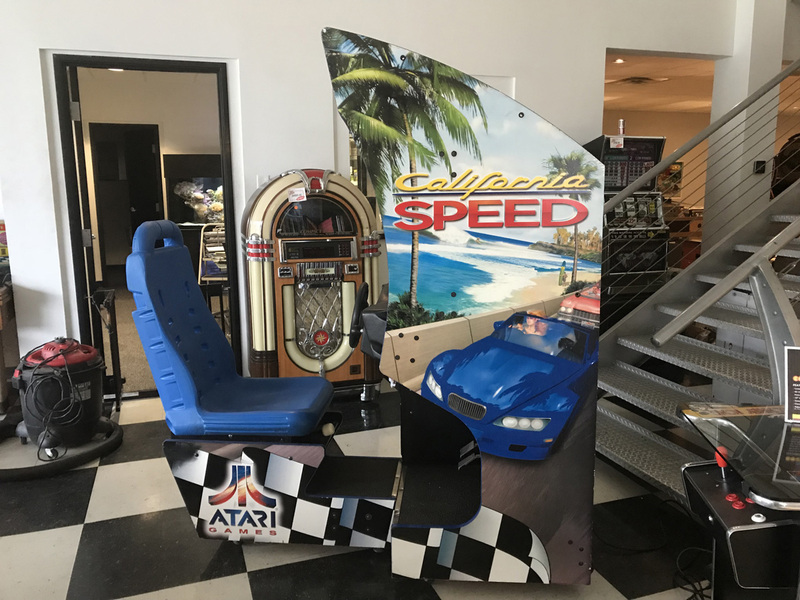 California Speed Arcade Driving Game | Fun! 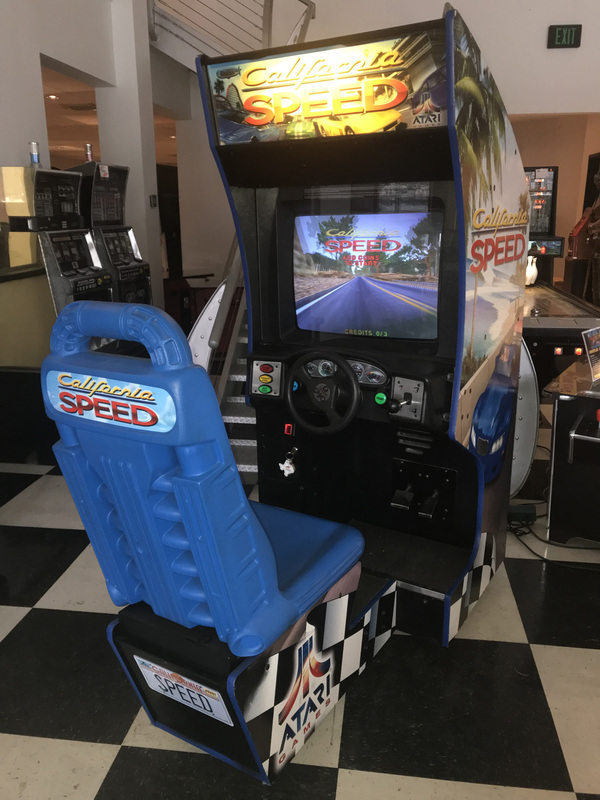 California Speed is similar to games like Cruis’n USA and San Francisco Rush. Players drive through the streets of California with exotic jumps and crazy tracks. You travel the streets with eight different racers on the track trying to take the lead. Sometimes on the road you encounter traffic you must avoid and hills to jump. Players get to choose a lineup of generic cars to race with either the Automatic or Manual transmission. There are fourteen different tracks with three different difficulties from Easy to Hard. This unit is in great physical condition. The sideart is original and in nice condition with on a few minor nicks in the sideart. 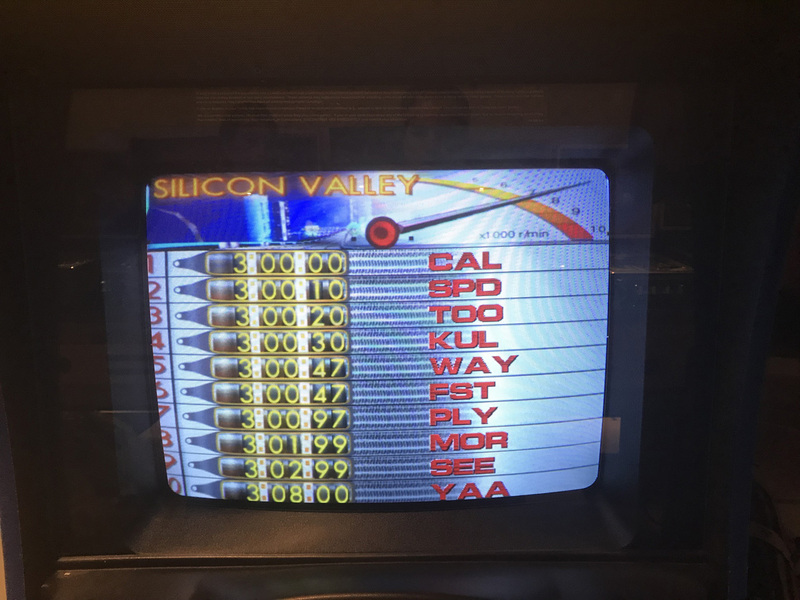 We’ve installed a brand new battery on the main board and the beautiful 25″ monitor has recently been repaired and has a bright, crisp picture. California Speed can be set to FREE PLAY or back to accepting money and earn revenue. 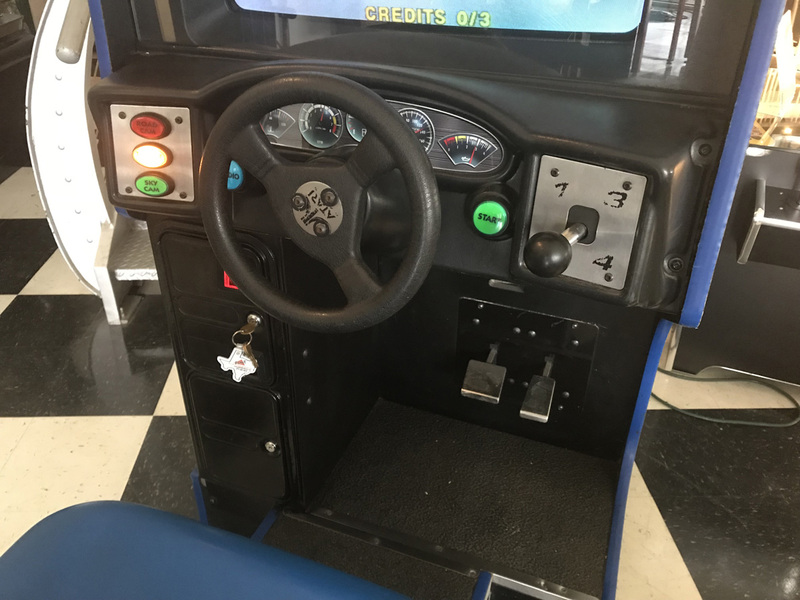 All aspects of this game (steering wheel, brake, gas an gear shifter) have been caliberated and work great as they should. 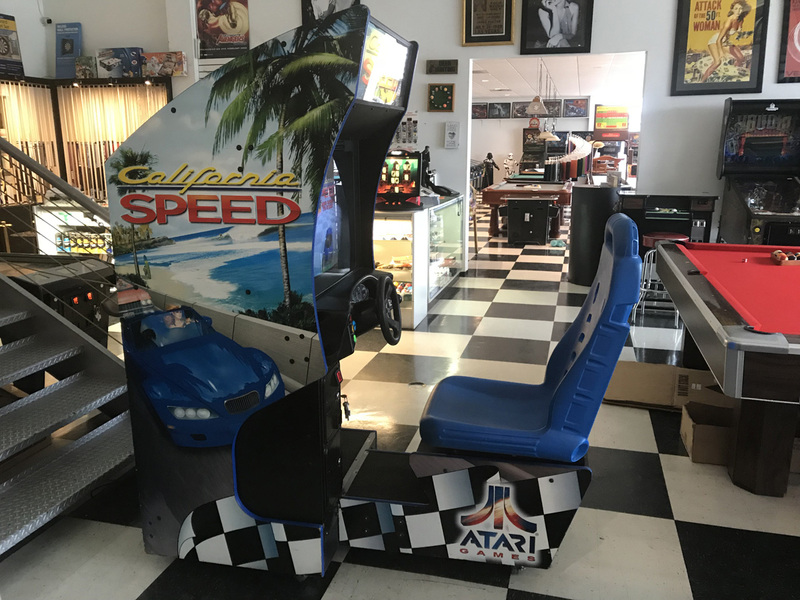 Although only 1 unit is available at this time, to California Speed games can be linked together for head to head competitive play. 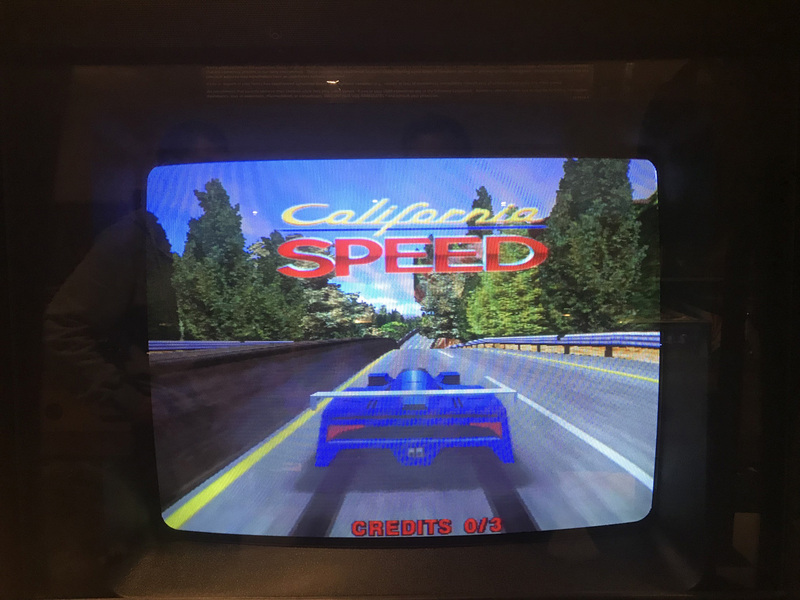 As with all of our pre-owned games, California Speed includes a 30 Day Warranty on the Electronics.